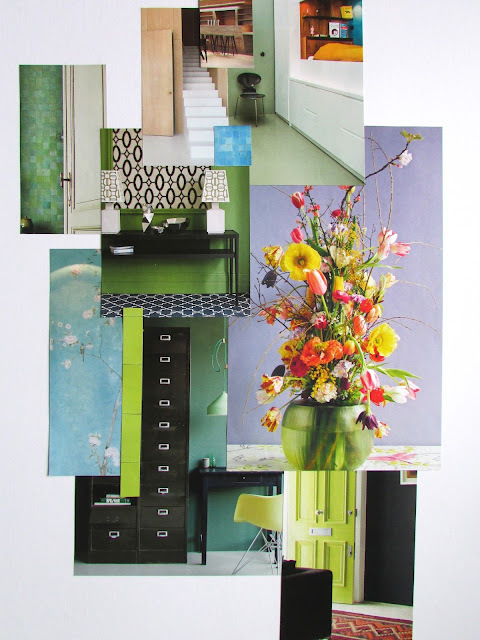 I redesigned the interior of a Victorian terrace in south London. Works are now almost completed. The original request was to add a few meters at the back of the house to extend the elongated kitchen. Clients also requested lots of storage space. They did get the latter (in this photo visible to the right), but no extension. 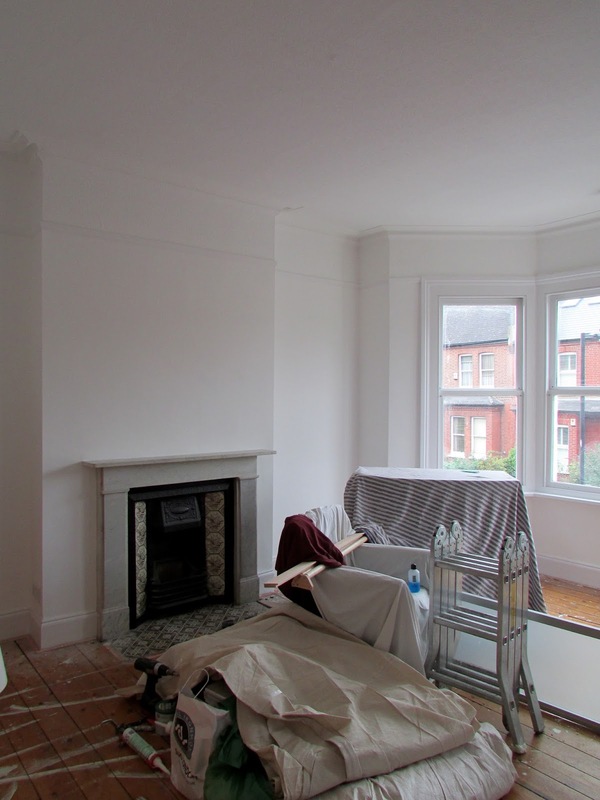 Instead we created space by taking down a chimney stack and by opening up the former dining room. I think the result looks great. 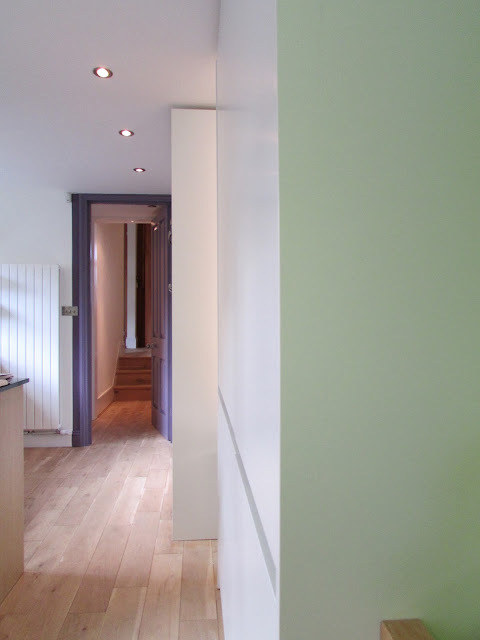 The door opening to the kitchen was increased to full ceiling height to allow full view of the kitchen and garden when coming from the front of the house. 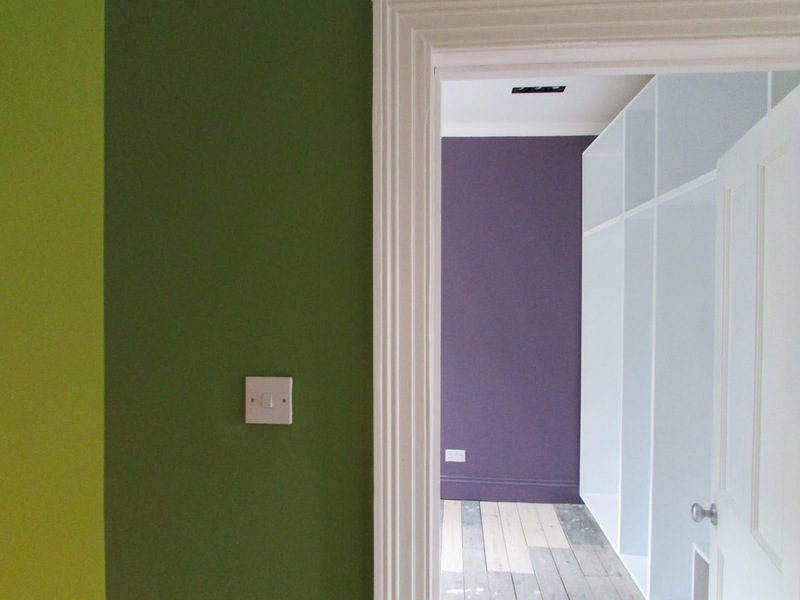 Finishings: the brief was bright colours. To the right of this photo (not visible) is the new dining area. 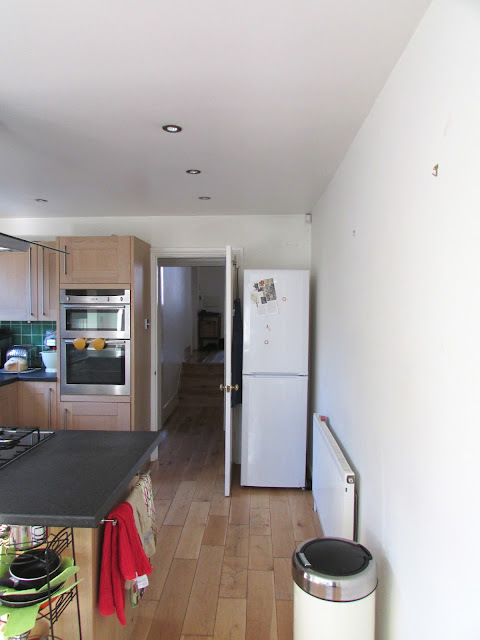 The ovens were moved from the other side of the kitchen. 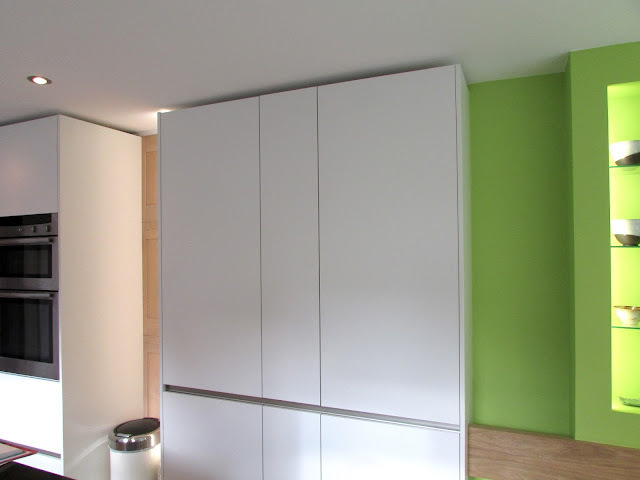 In order to break up the wall of cupboards we added niches and openings. 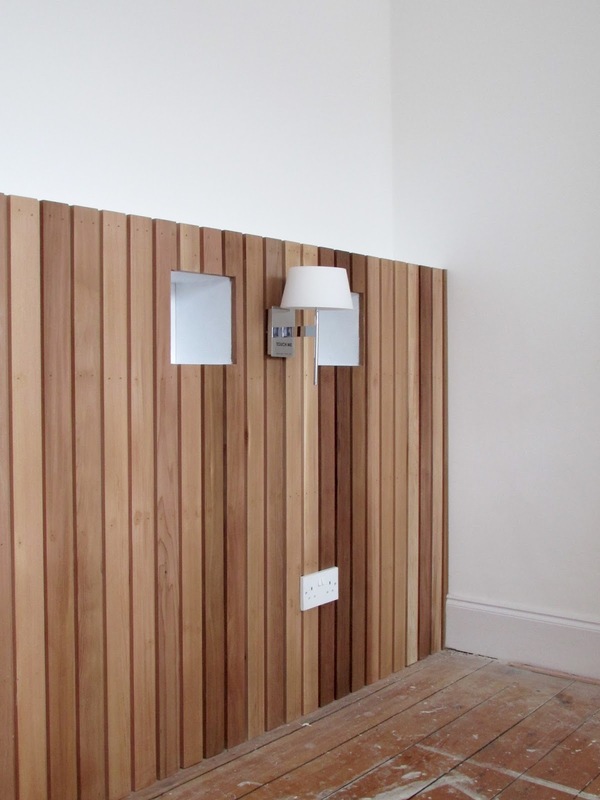 The wood panels on the wall are the old kitchen cupboard doors recycled. They are lit up by a strip of recessed LED lights. 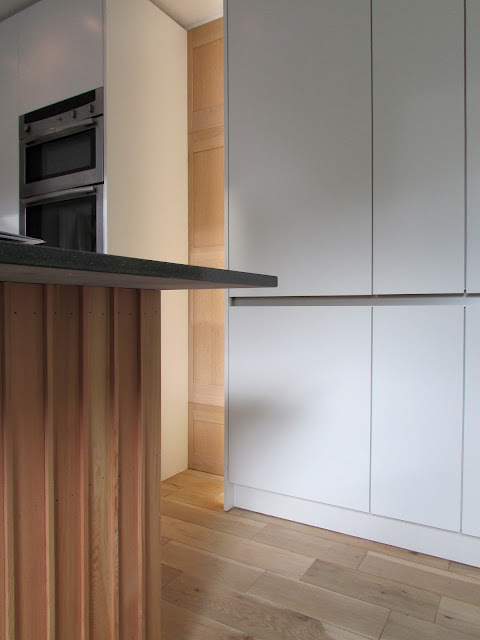 The existing island was clad in ceder with a reversed tongue and groove. The front of the house consists of two rooms and a long corridor. 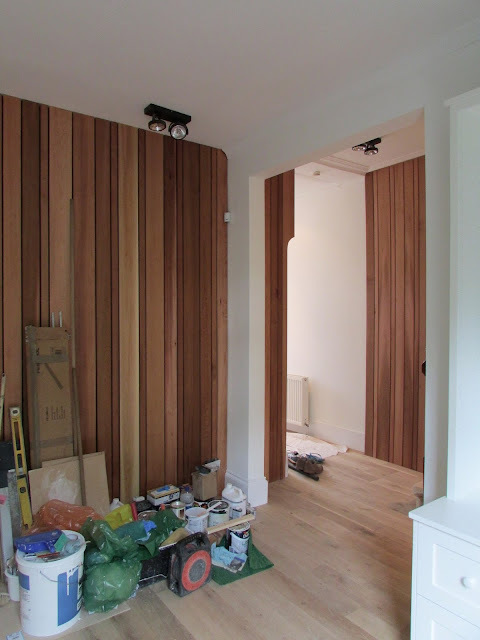 In order to make the old dining room more user-friendly and to make the house more welcoming, we enlarged the opening to this room, and extended the wall cladding from this former dining room into the corridor. 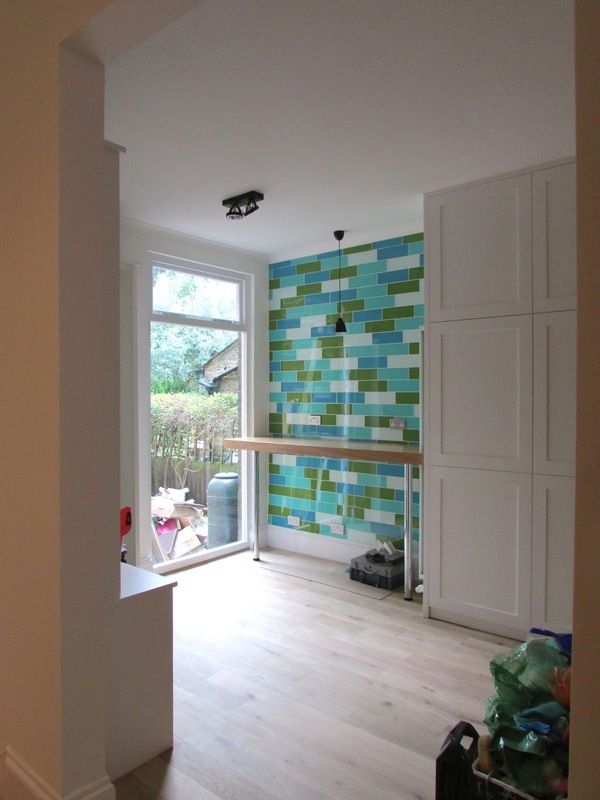 Close-up of a glass tile wall in the former dining room, which has now become a multi-functional space: bike storage, workstation, music room and laundry room. Very multi-purpose... The bikes will be mounted on the wooden wall above. We used glass tiles to reflect light into the room. View from the corridor into the room. The old doors were replaced with a large single pane of glass. Work station at bar height, next to it (note in the photo above the built-in USB sockets). The cupboards to the right hides wine, coats and a washing machine. This was the original mood board. 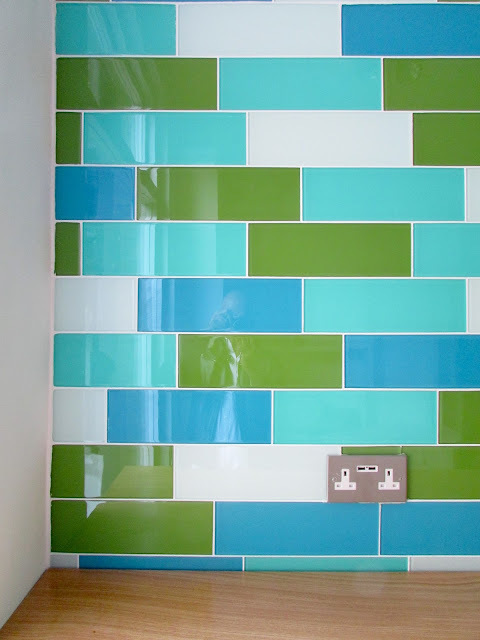 Tiles and colour combination are pretty close to what we ended up with. Curtains and carpets will follow the coming weeks. Dressing room: we moved the door slightly to the left so a full wall of wardrobes could be built in to the right. Both in the former dining room and this room, the chimney stack was taken out. Both rooms have new ceilings. In this room the spotlights were recessed (tip: don't use surface mounted spot lights in dressing rooms: they may block doors...). Master bedroom in progress. Most of the walls in the house were painted standard white. Bedhead in ceder. The slats are standard tongue and groove, the reverse of the kitchen island, so you can sit up against it comfortably. The light are touch operated and have different settings. The kitchen as was before. The wall to the right now has built-in storage; the door height was increased and the unit to the left of the door taken down.